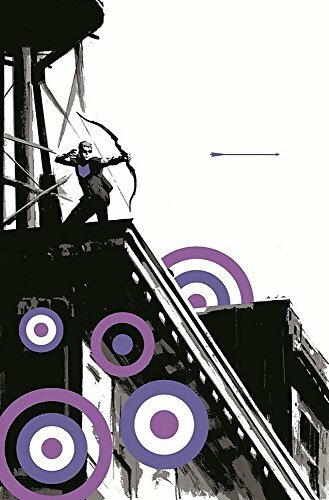 Disney+ Picks Up A HAWKEYE Show With Jeremy Renner And Everything | Birth.Movies.Death. If you—like me—felt betrayed by the lack of Jeremy Renner in last year’s Avengers: Infinity War, then worry no more. Not only do we have Endgame featuring MoHawkeye prominently in its marketing materials, but we also have a limited series focusing on the character coming soon to Disney+. It’s looking like a bright future for Hawkguy Heads, indeed. From Variety, the project is being described as an “adventure series”, and will feature two Hawkeyes for the price of one. That’s right, Kate Bishop is finally making her MCU debut. Fans of Young Avengers and Matt Fraction’s Hawkeye, your prayers were heard and the best marksman in the Marvel universe is bringing her trademark deadpan to a streaming service near you. There hasn’t been a casting announcement for Bishop, but there’s plenty of unconfirmed theorizing that she’ll appear in Avengers: Endgame (along with fellow Young Avengers staple, Cassie Lang). Feel free to look into that at your own peril. MONSTERS INC. Disney+ Series Will Sound Just Like MONSTERS INC. This Disney+ thing is going to be nuts.